"Conservative" Expansion or Super Death Star Conference? 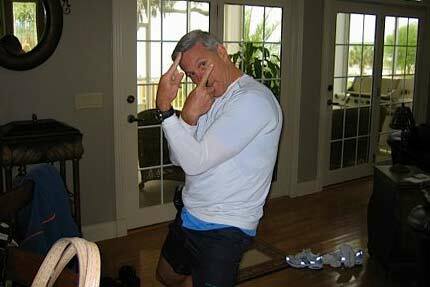 Ron Zook has done it again and then some. After scoring a solid recruiting class for Illinois football last year, the coach with the guns that can’t be carried across state lines has made national headlines (from ESPN to the New York Times) by securing a legitimately stellar group on National Signing Day yesterday. Rivals.com has ranked the 2007 Illini recruiting class #18 in the nation, Scout.com has us at #22, and ESPN.com put us as high as #12. This has occurred despite the program’s pitiful 2-30 record in Big Ten games over the past four seasons. While the ability for top players to start right away in the Big Ten as freshmen is certainly an enticing carrot that Zook can dangle that many of the traditional powers can’t provide, this alone isn’t a sufficient explanation since there are plenty of other BCS schools with poor records that could provide those same opportunities yet they haven’t had the same recruiting success. So, there’s been grumbling in the college football world about whether Zook is running a clean program, including a questionable remark from former Michigan State head coach John L. Smith in the above-linked New York Times article (please note that Illinois’ lone Big Ten victory last season came against Smith’s Spartans in East Lansing, which pretty much sealed his demise) and a Chicago Tribune article from today intimating that Notre Dame is behind the negative press as a result of losing a number of head-to-head battles for recruits with the Illini this year. While Zook himself has stated that he’s taken advantage of the lack of NCAA limits on text messaging recruits, there have never been any type of sanctions against him in the past (as opposed to, say, Satan’s Spawn). What’s fascinating, if not frustrating, as an Illini fan at this point is that we now have a football program that has been a bottom-feeder for several years and a coach who doesn’t have a great reputation for play calling yet is able to attract top recruiting classes and a basketball program that was a Luther Head three-pointer away from a national championship two years ago with a coach that’s considered to be one of the top minds in the game but is losing top in-state recruits left and right. Ron Zook seems to be a case-study in the power of personality judging by his recruits continually stating that they chose Illinois because he’s a great guy with a young man’s intensity and could see him being a friend for life. Meanwhile, Bruce Weber appears to be stuck in a recruiting rut. The Eric Gordon situation was particularly painful, but that was an issue where the player’s lifelong “dream school” close to home ended up getting a new coach just prior to the end of the recruiting process. More disturbing to me is how the Illini have lost every single recruiting battle for the top players out of the Chicago-area since Weber became coach, particularly to former Illinois and current Kansas coach Bill Self. If we can’t protect our home state the way Self, Lon Kruger, and Lou Henson had done in the past, Illinois is going to lose all of the momentum that it has built over the past decade in basketball if it hasn’t already. It could very well be argued that Ron Zook is the Bill Self of college football: an intense personality that is able relate to young players so exceedingly well that he essentially becomes a pied piper for the program, yet the jury is still out as to how he can translate that talent into success on the field. Of course, while recruits only matter if they’re able to produce results, I also believe that any coach would tell you that great players contribute a whole lot more in winning games than coaching strategy. It’s the ultimate paradox that the stronger Illinois basketball program has been struggling with attracting top talent while the weaker Illinois football program is nabbing national attention for its recruiting success. I’d love to see Illinois get to the point where it’s consistently a national power in both sports on par with Florida, Texas, and Ohio State (and I honestly don’t think that’s an exceedingly crazy notion), but the two Illini programs still have a lot of work to do in totally different areas. I think other coaches like the ones saying that Zook is a cheater don’t wanna come to grasp reality. Reality is Ron Zook is building a winning program at Illinois, for the first time in a long time Illinois fans can look forward to football season. We hired the guy because of his ability to recruit and now when he does a good job of it the accusations start. I think we had to see this coming though, Ron Zook is probably as buy the book as you can get so I doubt anything comes out of this. Still if we have to face this finger pointing I guess it is better for Zook, the team, and the school to just get it out of the way now. We come away from this clean like we probably will and that closes the book on it. And for the record Lon Kruger was great at recruiting Peoria not Chicago. Once again,(proving that college football recruiting is an art) why is it so easy for Texas to recruit college football players? It must be the pride and respect of the football program. Other schools should take note.